Comic Books – Video games, comics, & coffee. With the “Broken Things” arc finally at an end, there’s a welcome return to an aesthetic more comparable to Mother Panic’s first three issues. Issue #7 introduces a new, bizarre—which at this point is to be expected—villain in town, dressed in a literal Gotham City Coroner body bag, armed with two guns. The issue opens with the two parents being shot down in front of their young daughter—a seemingly common act of violence in Gotham City. But in this case, the shooting wasn’t a senseless robbery, but a planned attack by the new bag-wearing villain. Connecting back to the first three issues, the little girl seems to be one of the children being held captive that Mother Panic saved, making the murder of her parents seem more deliberate. Though Tommy Lee Edwards’ work is still missed (although he is scheduled to return to the series to illustrate and write), I’m very happy to see the absence of artist Shawn Crystal—a style that was horribly unfitting and detached when standing next to the stark boldness of Edwards. For this issue, John Paul Leon helms the art, and though it features a very similar style to Edwards, Leon’s style remains distinguishable on its own merits. The story Mother Panic tells feels more suited with darker and serious art style— something that Crystal could not translate. Colorist Dave Stewart also does a good job of matching the tone and palette that Edwards made so distinctive in the first three issues. Houser calmly paces the story forward while still revealing snippets of the past, and how Violet Paige came to be Mother Panic. Most importantly, this issue sheds some much needed light on her mysterious super strength; a super strength that is something more than human, but part cyborg. Houser also makes it clear that Panic isn’t necessarily seen as a hero in her own eyes, or by those who help her. But still, her intentions as a crime fighter are vague, not-to-mention why she’s on the streets fighting in the first place. It seems to be spiraling back to the need to protect children, but it’s too early to tell. There’s still plenty of questions unanswered concerning Panic’s team and why they’re helping her, as well as her mother’s strange ability to apparently communicate with rats. Nonetheless, this is a welcoming start to a new arc, and sets the series into a new gear as we continue to learn more about Panic’s past, and a mysteriously strange and dark new villain on the streets. Following the emotional masterpiece of issue #8, Black Hammer #9 takes a turn for the weird, focusing on the origins of Talky-Walky and her relationship with Colonel Weird. This issue reveals the least in terms of the overarching mystery that shrouds over the has-been heroes and why they’re trapped in the town of Rockwood, but hints that Colonel Weird knows more than he lets on, and by knowing too much, may be paying the ultimate price. It goes without saying that Lemire, as always, is at the top of his game in #9. Continuing to balance the quirkiness of Golden Age style writing, with his emotionally weighted signature touch. This month, Dean Ormston is replaced with David Rubin. David Rubin’s signature art style doesn’t match the emotional impact and pacing of Dean Ormston’s work, but is still a welcoming fit for Colonel Weird’s sci-fi pulp-esque tale. Rubin’s cartoonish worlds and creature sensibilities is a good fit for encompassing the other worldly dimensions Weird explores. And like his art, Rubin’s bubbles and lettering has just as much character and personality as the world and characters he illustrates. It’s a bit much at times and a little too cartoony for my tastes, but again, it compliments the off-kilter aesthetic of Colonel Weird’s character as a whole. Though Ormston’s presence was missed in this issue, Rubin’s work didn’t take me out of the Black Hammer world; it was a change that made sense. Black Hammer #9 didn’t quite have the emotional punch that #8 had for me, and I think most of that is owed to Talky-Walky not being a prominent character in this series as much as others. In fact, if I remember correctly, Talky-Walky went a few issues without an appearance. “The Ballad of Talky-Walky” left much more to be desired from the character; this issue gave only the smallest glimpse into Walky in terms of where she came from, but she still remains the most underdeveloped of the crew. Despite that, this issue continued to pull me in, especially with the mystery that surrounds Colonel Weird’s intergalactic abilities to slip in and out of the “para-zone,” where past and future live side by side, revealing that he, more than anyone, knows the most of what’s going on, and knows what may eventually happen to them all. Black Hammer continues to be the comic I look forward to the most every month. It’s been a slow burn in terms of moving the overarching story along, but that seems to be a second agenda next to fleshing out the emotional worlds of each and every character. If Lemire is a master at anything (which is arguably a lot) it’s his ability to write characters. His ability to give realistic emotional weight to anything is simply unmatched in comics today. To me, this series is a masterclass in character development. On the contrary to my last post about writers being utmost importance opposed to the character, I do find that there is one exception: Swamp Thing. The brooding creature with the conscious of deceased man, seems to be a character, that time-and-time again, brings out the most creative qualities in a writer. 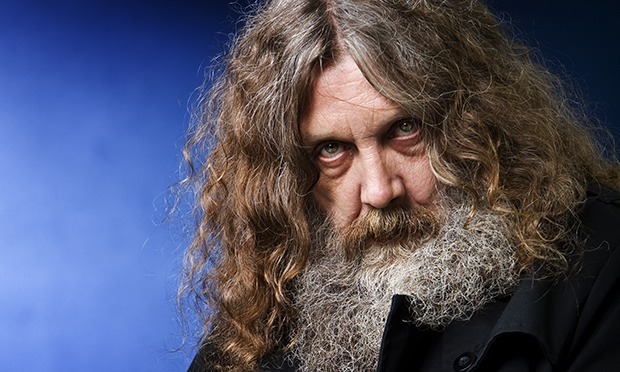 It goes without saying that Alan Moore’s run on Swamp Thing is one of the greatest series in comics. After all, it is responsible for the creation of Vertigo, and for that, the industry should forever cherish Swamp Thing. I first read Moore’s Swamp Thing when I was 18 and attending my first Fall semester of College. I had taken the first volume from my fathers collection after years and years of him rambling on about it’s greatness. I was sitting outside in the cooling air of September, in the midst of other college-goers aimlessly finding their comfort zone in the new college-life. Sitting on the grass, I was listening to Siouxsie and the Banshees’ Peepshow, and began my ascension into Swamp Thing. About a third way through, I read about the story of a man who once was, but now a creature, that must learn to accept that he is not the person that he bares the conscious of. Swamp Thing drags the skeleton of Alec Holland around, a lost monster entangled in an identity crises – I considered it one of the most beautiful things I had ever read. It was inevitable, but I began to uncontrollably cry. At that moment, I could wholesomely say, that I was changed forever. A real life photo of Swamp Thing Himself. Now I must admit here-and-now, that I’ve yet to read much in between Moore’s run, and Scott Snyder’s start on the New 52. Though I don’t consider Swamp Thing by any means a “superhero,” I still drifted away from it during my early 20’s when I decided I was done reading superhero comics for a while. I know it’s silly, but I was also stubborn and stupid in my early 20’s. With that said, I haven’t read the likes of Brian K. Vaghn’s run, that of Rick Veitch’s, or Nancy A. Collins (I’m getting there, I’m getting there). In the most recent of times, after picking up Lemire’s Animal Man, did I finally start dipping my toes back into the universes. It was hard to pick up Swamp Thing again, knowing that Moore had not graced the character for decades, and, I was personally afraid of possibly tainting my first experience with the character. I had a nostalgic link to Swamp Thing because of that moment sitting outside at college. Maybe it was because I was on that cusp of child to adult, entering a new segment of my life, and Swamp Thing having to accept that he’s not the human being he thought he was, in some way, had some strange correlation to own life. I simply wanted to hold onto that specific Swamp Thing. I’m sentimental. Nevertheless, I ended up picking up the New 52 Swamp Thing because out of a strange twist of fate, Animal Man’s story would eventually cross paths with Swamp’s. With apprehension, I picked up Scott Snyder’s New 52 Swamp Thing, and all over again, I fell in love. I didn’t fall in love quite the way I did with Moore’s, but there was something about the way Snyder turned Swamp Thing into a wooden suit of armor wearing, wings made of twigs and leaves, warrior, that I just found badass. Where Moore focused on the horror and inner turmoil of a lost creature, Snyder turned Swamp Thing into a protector of nature. Now with Charles Soules at the throne, who started with trying to bring back the human element of Swampy, but has since then taken some outstanding twists and turns. Admittedly, I was disappointed to see a lot of familiar faces from the DC universe step into the story like Aquaman; Swamp Thing is much like an outcast of other DC characters, and I was able to read Swamp Thing and sort of observe the universe as an outsider without having to be dragged into all over again, so seeing JL characters step in was a bit out of my comfort zone. Anyway, all I’m trying to say is: it seems that no matter who writes Swamp Thing, every writer has their own unique and creative view as to what to do with the character. Whether he’s a brooding lost soul, or a warrior of The Green, for whatever reason, his characters attributes encourages variation. I personally find something so poetic, and melodramatic about Swamp Thing. Swamp Thing is a mysterious mix of horror, romance, and fantasy – and all those things are much more captivating concepts then pure heroism. Jeff Lemire’s Animal Man saved ‘superhero’ comics for me. I grew tired of super heroes in my teens, specifically with the rise of superhero movies. Not that I was deliberately swaying a way from superheroes because they were getting popular, but more simply, I had felt as though “I got it.” Growing up surrounded around comic books, I understood the concept of a superhero, and I wasn’t reading anything new that I thought challenged the concept. So I stopped reading them altogether. It wasn’t until I discovered Lemire’s Animal Man that my 3 year departure from major comic book universes would end, and that I would learn a valuable lesson about what was truly important and worth looking for in a comic book, and that is simply – The Writer. I actually find Animal Man to be quite a goofy hero with kind of a lame super power. He thinks of an animal, and then can use the abilities of the animal he imagines. Unlike, say, Beast Boy, who just straight up turns into any animal he desires. Additionally, Buddy Baker (Animal Man) got his powers from “Aliens”… which, frankly, I find goofy. The only reason I picked up Animal Man in the first place was because during my separation from the major universes, I had discovered writers and artists through non superhero related comics. One of those writers being Jeff Lemire with his comic book ‘Sweet Tooth.’ So when I saw that he’d be joining DC’s New 52 band wagon, I was intrigued, though still reluctant to the notion of anything involving superheroes. But Lemire taught me a lesson I should have learned long ago – Writers are more important than the attributes of their characters, and it really comes down to what the writer is capable of doing with that character. It was Lemire’s Animal Man that went beyond the concept of heroisms and super powers, and made the backbone of the series his relationship with his family. The thingthat separates Buddy Baker from other heroes in DC universe to begin with, is that at the end of the day, he has a family to come home to. He’s also an actor, and an animal activist. Really, he’s quite a strange character in comparison to the more traditional superheroes of the DC universe. But it was Lemire’s approach to taking a D-list superhero like Animal Man, taking his family, and making that the forefront of the story, when it could have easily been something meaningless in the background, which made making Buddy that much more interesting to me than any other superhero character. Lemire gave him a dynamic that I think was simply not seen, or flat out ignored in other mainstream characters. Animal Man would then eventually introduce Swamp Thing into the storyline, which inevitably resulted in me reading Scott Snyder’s run on Swampy. From there, I started picking up everything Lemire was doing: Justice League Dark, Frankenstein Agents of S.H.A.D.E., and Green Arrow. And just like that, I was thrown right back into it all – The Universe I deliberately avoided for so long, had just dragged me back in, solely on the writers, NOT the characters. I, for one, believe that all great things must come to an end. I also think that great things are better short lived, as opposed to being dragged out as far as it can be, just to risking losing the spark that made it so great in the first place. An example of something that ended when it needed to, was the show Twin Peaks. It lasted for only two seasons, of which most say was only worth watching till the 1st half of the 2nd season. But thankfully, it ended shortly after that, on what I think is one of the most amazing cliffhangers of all time. And if you know Twin Peaks, you know that it couldn’t and shouldn’t have ended any other way. If it were to have continued, it most likely would have never captured the awe inspiring atmosphere and mood of 1st season. I feel that Animal Man had introduced such a beautifully crafted epic tale about family and loss, that by it’s 29th issue, it said all it needed to, making it okay to come to a close. Now, I’m not saying that Jeff Lemire was not capable of continuing the story with that consistent brilliance, but I’d rather see a series short and amazing oppose to long and filled with ups and downs. Despite Animal Man’s end, I continue to go to my local comic book store, and purchase several comics a week within the DC universe. I continue to indulge in Swamp Thing and Justice League Dark, even though the writers have changed. And of course, I still follow Lemire and his Animal Man in Justice League Canada. I would have never considered getting back into mainstream comics if it wasn’t for Jeff Lemire’s take on the silly super powered/actor/animal activist, Buddy Baker, but Lemire managed to take him and turn him into something genuinely inspiring to me. So now when I go comic shopping, I don’t pick based on the superheroes power, or whether they belong in the DC or Marvel universe, I pick based on the writer and what they’ve done in the past.